Currency markets, worth almost $2 trillion per day in trade, link the world together. Yet few people know how they work and why they are prone to instability and bouts of panic. This book, neither a technical manual nor a get-rich-quick tract, takes the reader on a guided tour of the places, the machines, the circuitry and the people involved in moving the world's money. From the simple to the complex, currency traders, market analysts, money managers and payments systems architects show their workplaces and reveal their day-to-day experiences. The book will give the reader a graphic picture of the geographical and structural organization of global currency markets and the people who operate them. 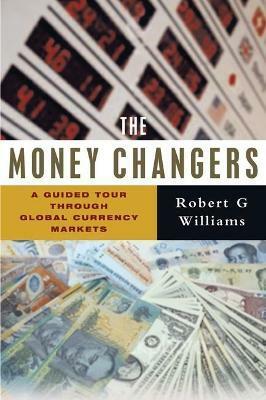 The tour through the volatile and rapidly evolving world of the money changers provides a basic orientation for deciphering complex causes of yet unforeseen financial events.